Well done Pamela! As you know, I can certainly relate to being rejected, and also to finding a sort of peace with that. Wow, I could have written so much of this Pamela! You’re right – people don’t get it. Adoption is not perfect and beautiful. It is loss, and we have a right to feel it. No one can or should tell us otherwise. Thanks for sharing your heart – you and your story matter. Good work fellow adoptee. Its a tough road to navigate and I am doing similar. Thanks for writing this. Breaking patterns takes courage and strength and truth. Cried all the way through it. Beautifully done. Painfully relatable for me. Lots of hugs and hearts, my friend as we continue winding our way toward a much better place. I love reading your story, it resonates in so many ways. Never stop sharing. Pam your writing touches me down to my soul in a way that I cannot explain. Thank you for just being a God send to all of us adoptees. ((((HUGS)))) Sharing here is one of the reasons I’ve survived so much. So we all know we aren’t alone. Love you!!! 🌹🌹🌹 Your support means so much! This is such a powerful piece, Pamela. 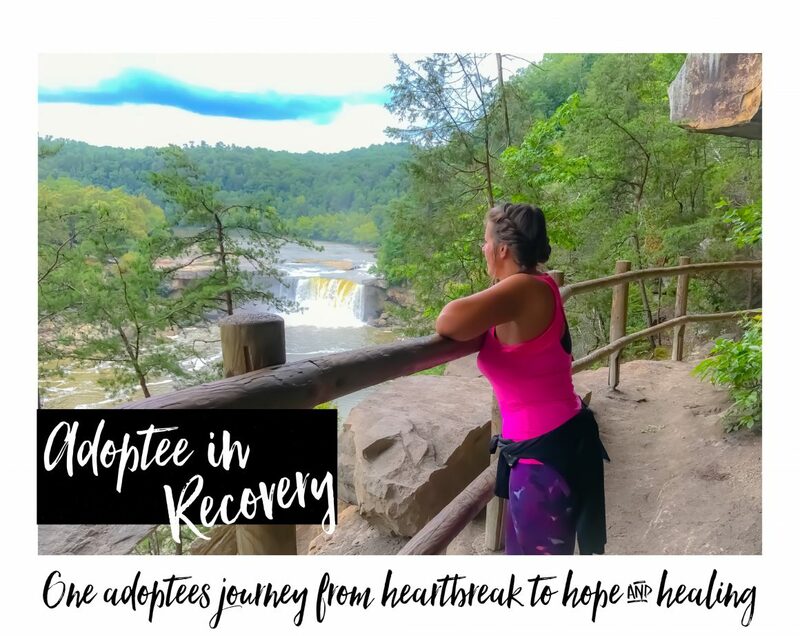 I’m an adoptive parent whose kids are working to process their pain, and it’s such a hard process. Lifelong, as you know. Thank you for being brave enough to share your story. Hearing more and more about your story over the years is heartbreaking. I can’t imagine what you’ve been through. Your strength and resiliency is amazing. I wish it could all be fixed and your pain would go away but that’s not how life works unfortunately. You’re an amazing person with an incredible heart who deserves to have joy in their life and I hope you have it in some form. Best wishes. Hey there my friend! Sometimes takes me a bit to get back to these messages but I read them all, it’s just responding like I want to do is delayed sometimes. Your comments and support have meant a lot to me over the years. Your story has enlightened me to another side of infertility I didn’t have compassion for before. My heart breaks for you. It’s interesting how 2 broken stories can come together and gain an understanding for one another. I appreciate you and your kindness! I have a lot of things in life that bring me joy. One of them is the freedom to express my pain here in this safe space. It’s been the most healing of things so far. Some of the others are nature, sunrises, sunsets, the sky, hiking, waterfalls, the sun, coffee, hot tea, good conversation, giving to others, planting Adoptees Connect Groups, my kids, and so much more. This is just a piece of who I am and a part of my past and life. I hope and pray when it’s all said and done, I will have made some kind of an impact, done some good, and have many more happy days on this planet. It’s all about finding the balance. 😀 HUGS! My 11 year old recently had brief contact with her birth dad that ended suddenly and I was very confused …. your sharingredients of couse can’t explain his behavior but I am grateful! This is uncannily close to some of my story as well and to top it of, my birthday is the 14th. august. You can read about my story on my blog. I found my fathers side of the family a few years back and that was huge (even visited) and we’re still doing good. Mother’s side a different kettle of fish!! Feel free to contact me if you want.